When we were young, adults are the only ones who get to use home computers and mobile phones. But now even young kids are able to have their own smartphones and desktops, or at least have access to these devices. I have a 3 year old daughter who knows how to use the cellphone for watching shows on YouTube. While I am glad that my daughter is tech-savvy at a young age, I am also worried about exposing her to the risks of internet use. This is why decided to find out how the Bitdefender Family Pack can protect us from such risks. Watching kids’ video on YouTube may seem harmless, but there is still a risk that kids may be exposed to inappropriate content while doing this. Such dangers shouldn’t be taken lightly as it can affect your child’s future. Thus, parents should be extra careful in monitoring their kids’ online activities. Unfortunately, parents can’t be expected to keep an eye on their kids 24/7. It would also be counterproductive to disallow internet use when parents aren’t there to watch over kids. Our solution is to install a software that will protect our devices from security threats and enable us to control our kids’ internet access. 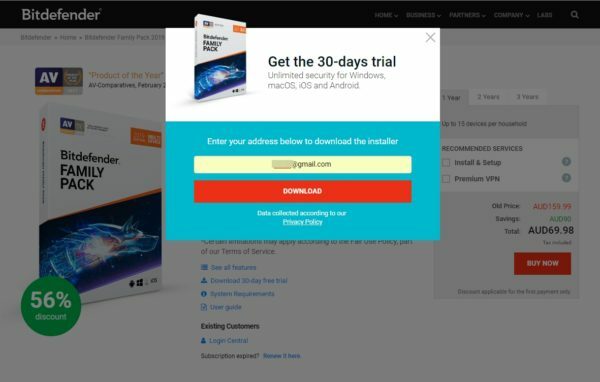 Bitdefender offers 30 day trial so I gave it a spin before purchasing. 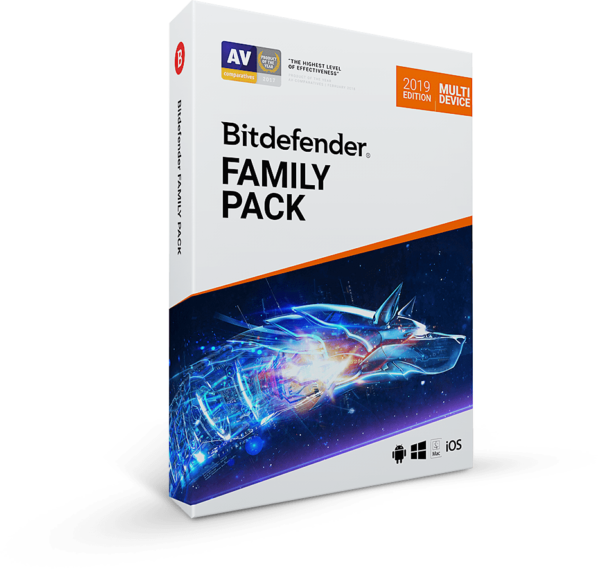 The Bitdefender Family Pack 2019 provides an all-in-one security solution for all your devices be it Mac, Android, Windows, or iOS that focuses on family safety, especially child safety. It features an anti-virus that gives Complete Data Protection from notorious threats like worms, Trojans, rootkits, malware, and spyware. Not only that, this Family Pack also has a Multi-Layer Ransomware Protection that protects your important documents from malicious encryption. It also has an Advanced Threat Defense feature that closely monitors active apps and takes immediate action when it detects suspicious behavior. Those who are particular about their privacy can appreciate the built-in VPN of the Bitdefender antivirus. This encrypts all your internet traffic thereby giving added protection for your data privacy. 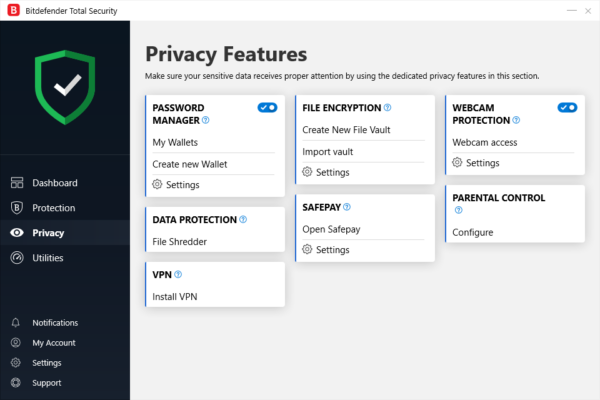 Other privacy protection features include a privacy firewall, social network protection, anti-theft, anti-phishing, and anti-fraud mechanisms. Webcam leak can also be prevented as this antivirus will alert you once an app tries to access your webcam. When it comes to ease of use, I have no qualms with the Bitdefender Family Pack. It is able to scan quickly and efficiently on its own when the Bitdefender Autopilot feature is turned ON. Compared to other antivirus software, the Bitdefender uses fewer computer resources. This is because of the Bitdefender Photon technology that adapts to the hardware and software configuration of your devices. 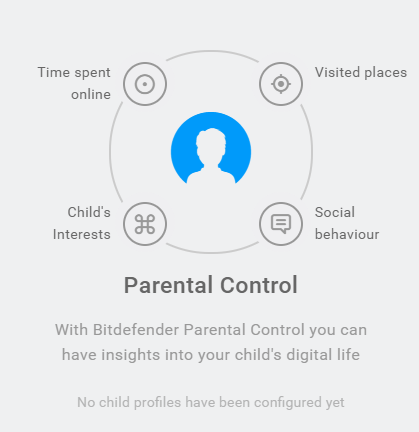 As a parent, the best thing I like about the Bitdefender Family Pack is the Parental Control / Parental Advisor feature. Simply create your Child’s account, install Bitdefender on his/her gadget. Aside from enabling parents to filter websites and apps that the children can access, it also helps you monitor the child’s behavior on the web. Parents can simply block sites that they deem as harmful or inappropriate. This means that you can protect your kids from being exposed to inappropriate content during unsupervised use of their computers. You can also set the schedule for internet use in your household. For example, if your child’s bedtime is at 7 pm, then you can set the device to restrict access to the internet from 7 pm onwards. 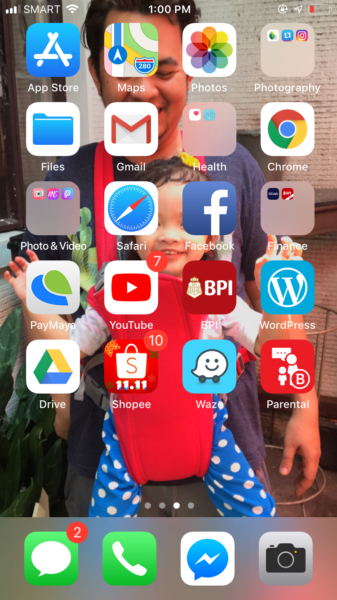 Once the schedule is set, the software will prevent access to the browser and hide the apps from the screen. This will give the parents control over when and how much time the child is able to browse the net. During the time my daughter is allowed to use the phone. Keep track of their activities on Windows, macOS, Android, and iOS. Save them the dread of an extra phone call – let them tell you they’re OK with Safe Check-in. Log in remotely to Bitdefender Central to keep up with your kids. You may include Bitdefender VPN Premium as an add-on which is a virtual private network that grants you complete online anonymity by encrypting all incoming & outgoing traffic on your PC, Mac or mobile device. With Bitdefender VPN you can stop worrying about privacy on the web. It protects your online presence by encrypting all Internet traffic. extensive coverage using multiple virtual locations including US, UK, IT, AU. 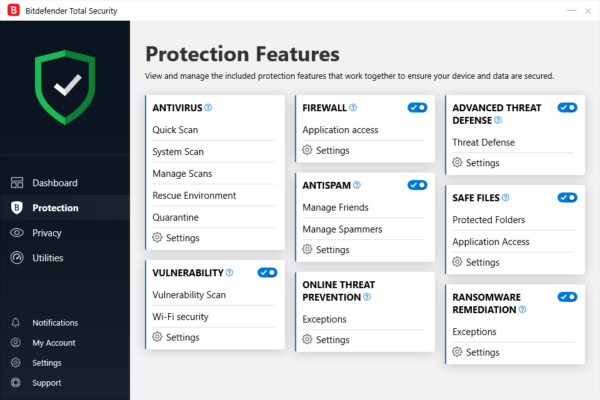 My final take on the Bitdefender Family Pack is that it’s more than just an antivirus software. 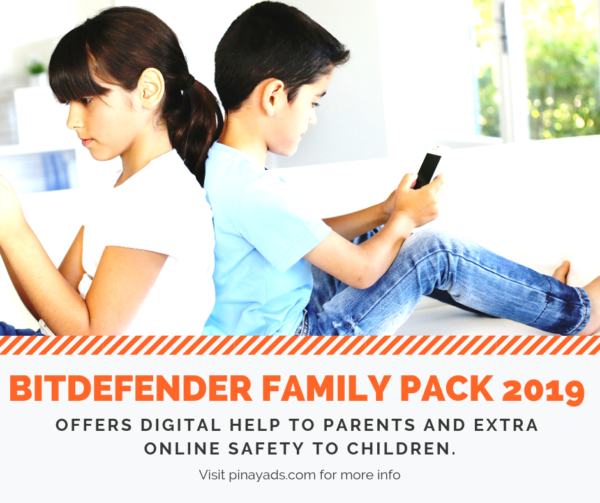 Aside from protecting our devices, it can also be our parenting partner for internet use. The Parental Advisory feature helps ensure that our kids are safe from a cyber predator, harmful sites, and prolonged use of the internet. 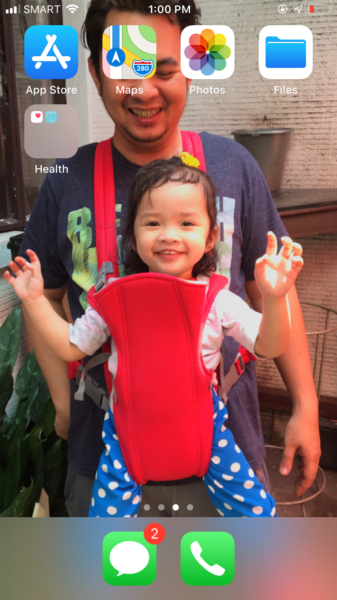 Somehow this gives us some peace of mind whenever we aren’t around to supervise the gadget use of our kids.